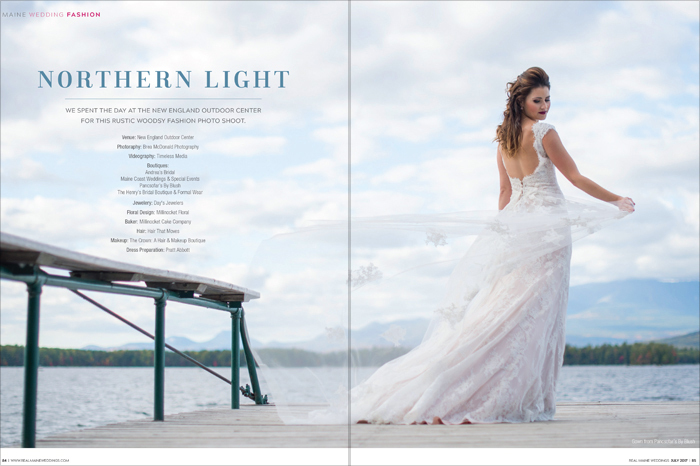 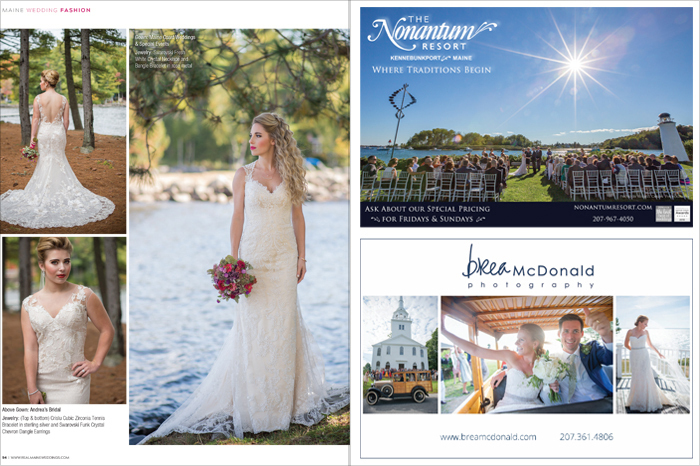 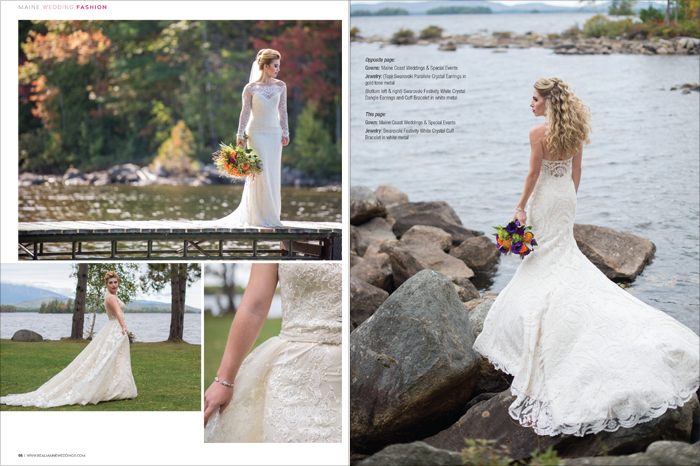 We traveled up north late in the fall to the beautiful New England Outdoor Center for this Real Maine Weddings gown shoot. 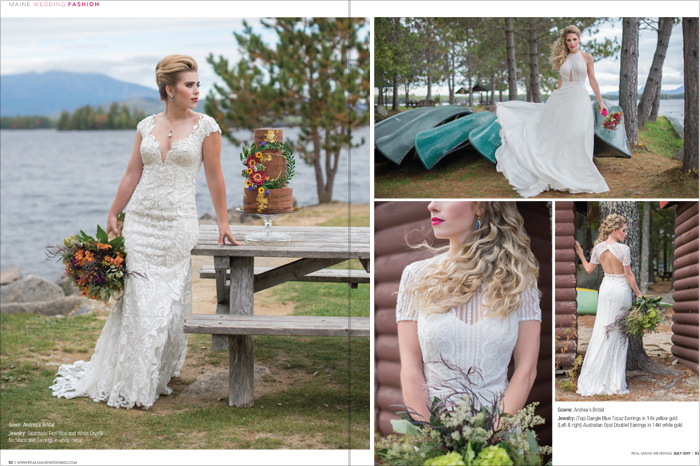 With amazing views of Mt. 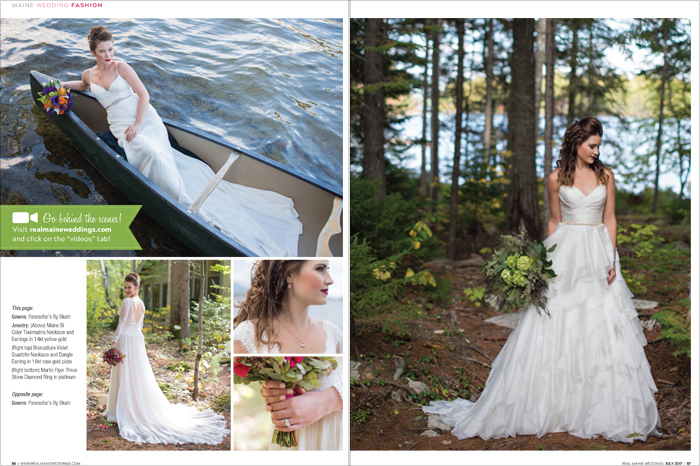 Katadin and pine needle paths in the woods we took full advantage of this sprawling property to capture the feel of this Northern Maine Camp setting. 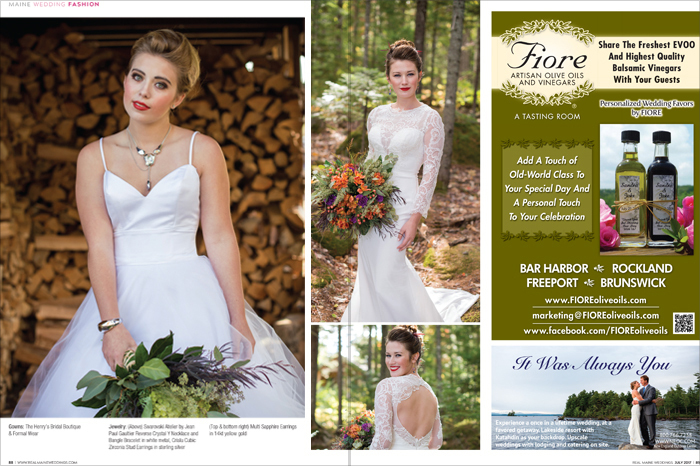 Flowers from Millinocket Floral, Hair by Hair That Moves and Make-up by The Crown Boutique, Jewelry from Day’s Jewelers, Cake from Millinocket Cake Company, Dress Preparation by Pratt Abbott and Videography by Timeless Media. 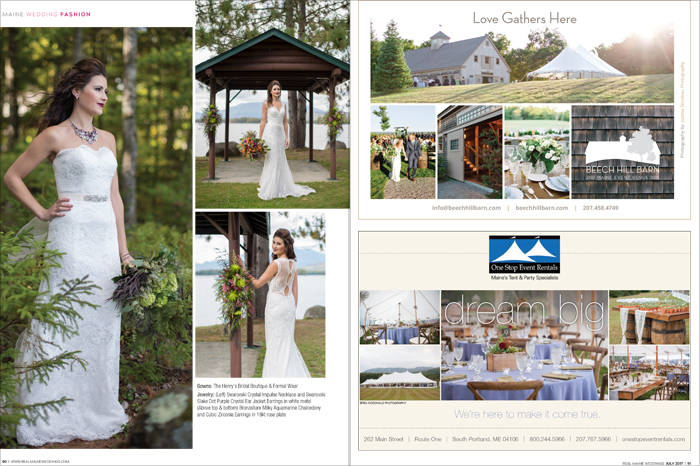 Wedding Dresses provided by: Andrea’s Bridal, Maine Coast Wedding & Special Events, Pancsofar’s by Blush and The Henry’s Bridal Boutique & Formal Wear.